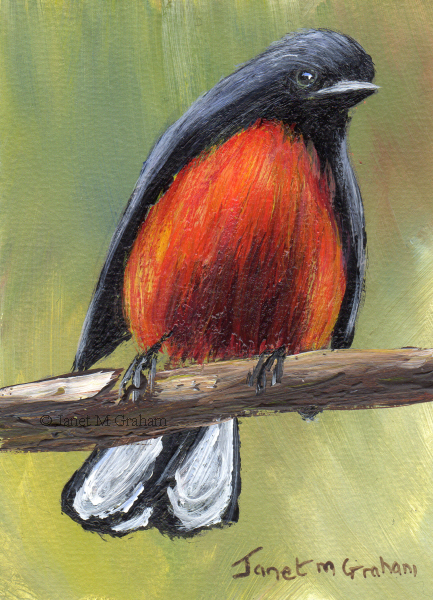 Slate Throated Redstart measures 2.5 x 3.5 inches and is painted on Colourfix Smooth paper. Scarlet Headed Blackbird measures 2.5 x 3.5 inches and is painted on Colourfix Smooth Paper. I couldn't resist painting this little female warbler. 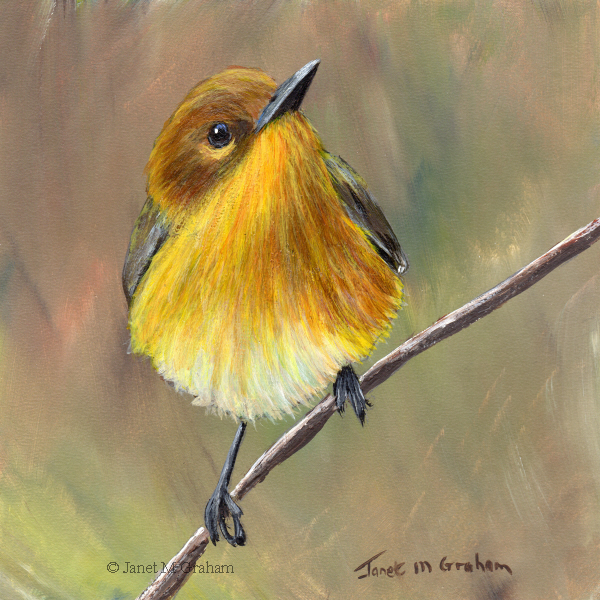 Prothonotary Warbler measures 6 x 6 inches and is painted on Colourfix Smooth paper. 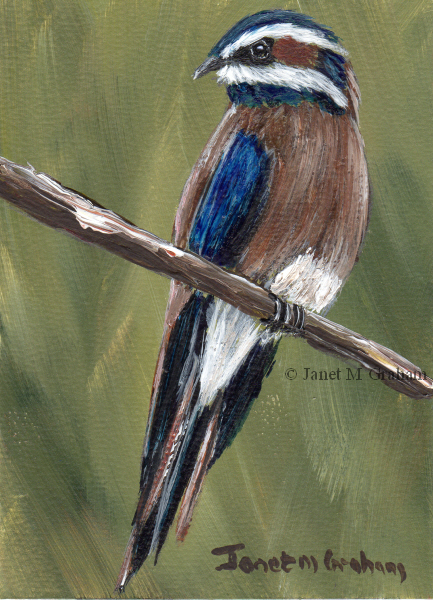 Whiskered Treeswift measures 2.5 x 3.5 inches and is painted on Colourfix Smooth paper. 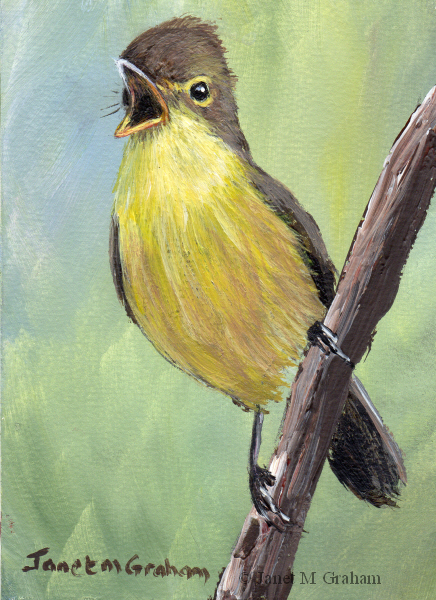 Melodious Warbler measures 2.5 x 3.5 inches and is painted on Colourfix Smooth Paper. 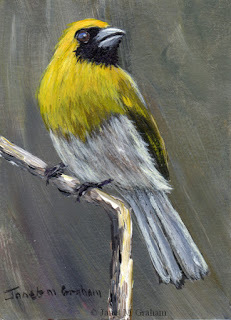 I love this ones yellow feathers. Black Faced Grosbeak measures 2.5 x 3.5 inches and is painted on Colourfix Smooth paper. 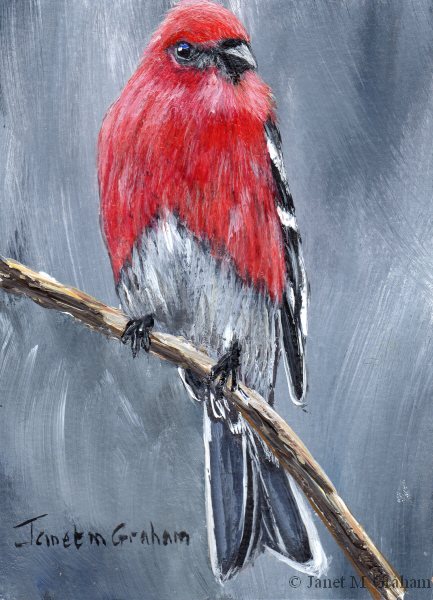 Pine Grosbeak measures 2.5 x 3.5 inches and is painted on Colourfix Smooth Paper. 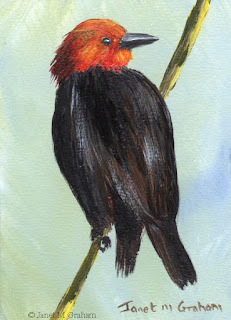 I love tilt of this one's head. Blackpoll Warbler are found in North and South America. They measure 12.5 - 15 cm in lengh and weigh 9.7 - 21 grams. 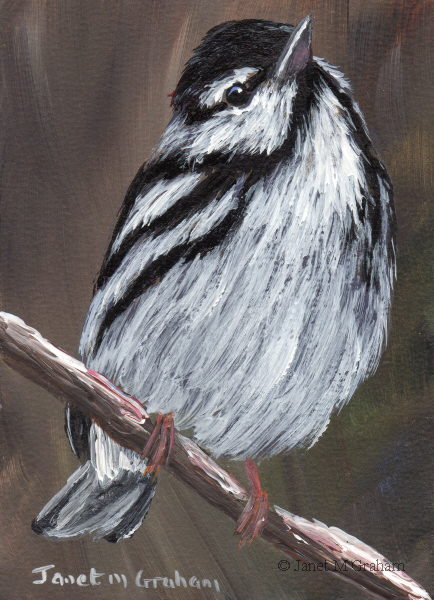 Blackpoll Warbler measures 2.5 x 3.5 inches and is painted on Colourfix Smooth Paper. Worm Eating Warblers breed in the Eastern United states and migrate to Mexico and Central America during winter. They measure around 13 cm in length and weigh about 13 grams. 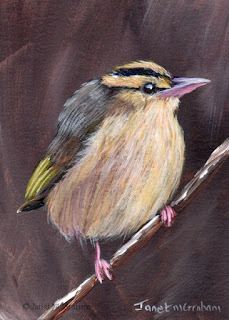 Worm Eating Warbler measures 2.5 x 3.5 inches and is painted on Colourfix Smooth paper. 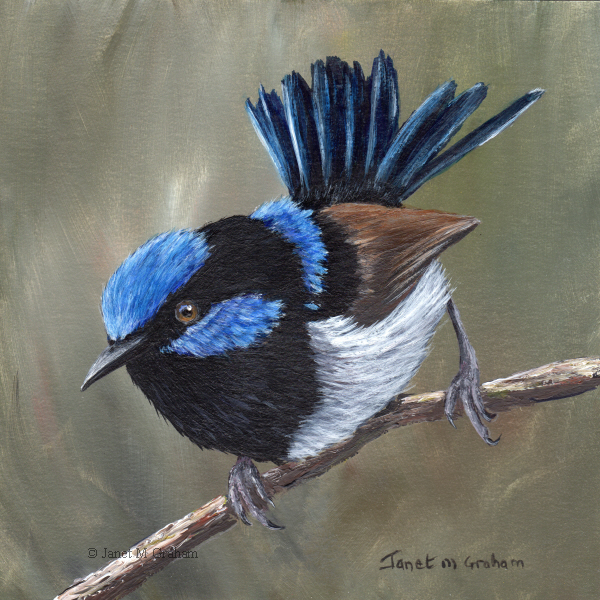 Superb Fairy Wren No 12 measures 6 x 6 inches and is painted on Colourfix Smooth Paper.